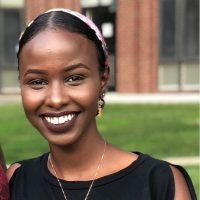 Fartun Abdulle is a senior at Providence College. She majors in Health Policy and Management with a minor in Black Studies and incorporates a Social Justice Core Focus. Born in the Netherlands and raised in Lawrence, MA, Fartun’s family immigrated from Somalia to the United States. 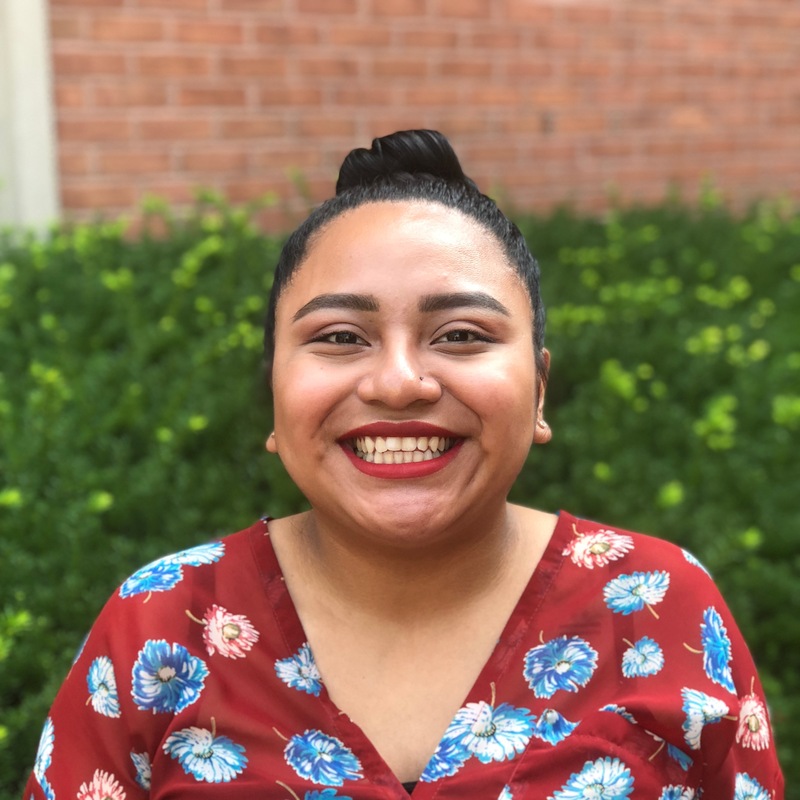 She serves as the President of her institution’s Board of Multicultural Student Affairs, a student led group aimed to foster and cultivate home for students with diverse backgrounds and identities. As she prepares herself to transition out of college, Fartun sets her eyes on advocacy work in community health for underserved populations who are at risk. If her eyes aren’t glued to her agenda and her hands aren’t typing at her computer, find her exploring the beautiful art scene in the city of Providence. Carlos Tejada is a first-year at Brown University. He is planning to double concentrate in International Relations and Philosophy. He was born and raised in an inner city of New Jersey, but is family comes from the Caribbean. (Dominican Republic, Haiti, Puerto Rico). He is a social activist who focuses on women’s empowerment, immigration reform, and children education. When he is not saving the world, he is dancing at one of Brown University’s dance groups. Born on the Caribbean island of St. Maarten, Nayanne Lenus moved to Rhode Island for elementary school, moved back to St. Maarten to complete high school and returned to Rhode Island for college. Nayanne has always been passionate about helping people and wanted to be a social worker when she grew up. She would like to make a profound impact in the lives of others. During her undergrad year at RIC, she completed a trip to Ecuador, where she volunteered at an orphanage. She also interned at the Rhode Island Department of Human Services, where she worked with non-custodial parents who were trying to improve their lives and learn to parent more effectively. She has volunteered with a variety of social service organizations, including Amos House, the United Way and Emmanuel House. Nayanne is currently in the process of obtaining her Masters of Social work degree at Rhode Island College. She is currently interning at Breakthrough Providence as the Family Engagement Student Support Intern, and is the graduate assistant at Rhode Island College Outreach programs. Nayanne’ s duty here at Breakthrough Providence consist of working closely with the Program Director for Student and Family Engagement and Dean of Students to develop strategies and interventions for students that need support related to attendance, behavior, or academics. Outside of breakthrough and school, Nayanne enjoys traveling and experiencing different cultures. 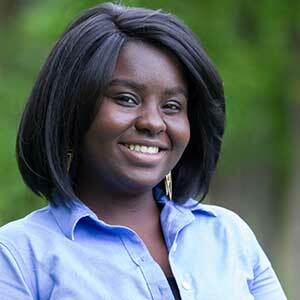 Jeronima Nix, aka Niimo, is serving as the Development and Communications Associate as our Americorps VISTA. Niimo knew at a young age that she wanted to give back to the city she was born and raised, and this year she is able to continue her impact through strengthening the organization. Niimo received her Bachelor of Arts in Psychology from Roger Williams University and went to complete her Masters in Higher Education in Student Affairs from the University of Connecticut. She learned through experience and research that she needed to redirect her attention to helping under-served students before they enter the higher education realm. Niimo believes in genuine mentoring and empowerment in order to help support the next generation of leaders. She hopes her students all surpass her in their achievements and passion to change the world for the better. Niimo spends her time being a proud aunt, pokemon fan, fenty beauty user, avid concert goer, and watching short/long documentaries. Adam stepped foot into the Breakthrough community through its Summerbridge program, first in 2012 as Dean of Students, and then again in 2013 as an interim program director. He returns to Breakthrough Providence after having worked in various capacities throughout Rhode Island and Massachusetts, gaining an intimate understanding of the struggles youth and families from all walks of life face both inside and outside the classroom. After completing his undergraduate degree at Brown, Adam pursued graduate studies in developmental psychology and narrative technology at NYU, and went on to receive his M.A. in Mental Health Counseling and Behavioral Medicine from the Boston University School of Medicine. 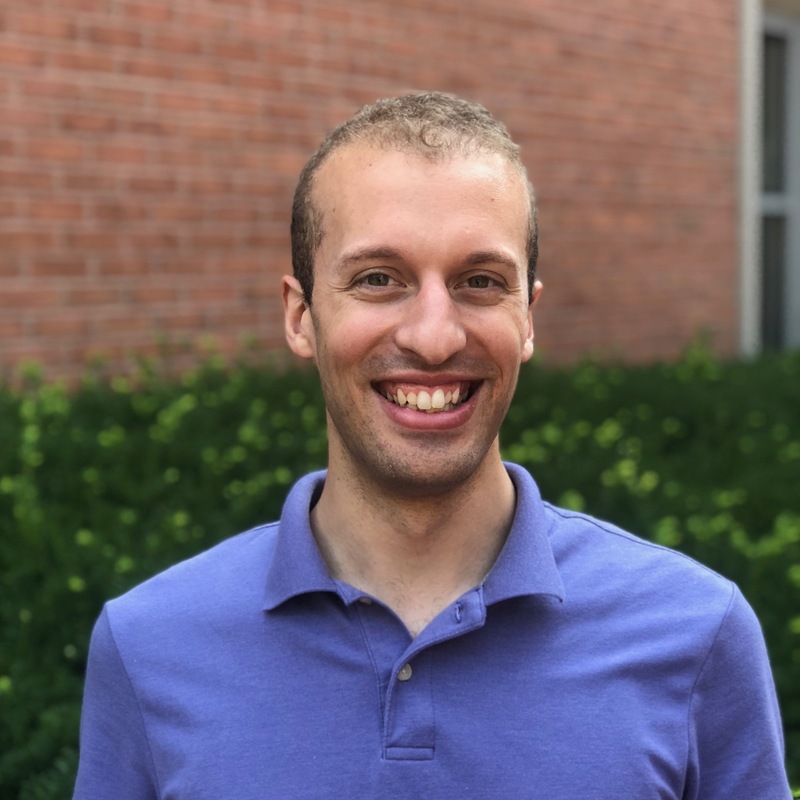 An outside the box thinker, Adam has explored his innate calling to advocate for social justice and equity among populations by combining his professional clinical training with a desire to improve education. He has served as a clinical therapist across settings, empowering children, teens, and families to build positive relationships and to partner with their schools and community resources. Adam was also a founding team member of Achievement First Iluminar where he helped coordinate the Family Leadership Collaborative, a group of parents and caregivers active in developing the life of the school, and implemented interventions to assist students in need of additional social-emotional support. 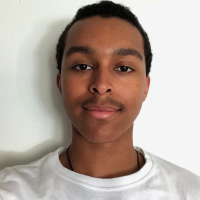 He looks forward to weaving his love of collaboration and creative decision-making into the fabric of the Breakthrough community among its students and teachers-in-training. When not in the office, you can find Adam sitting down to his typewriter, belting out songs on a stage, or reveling in a lively discussion about diversity (or movie adaptations…or neuroscience…or his dog). Marisa’s first introduction to the Breakthrough Collaborative was as a teacher at Summerbridge San Francisco in 2006. It was there that Marisa began to develop her commitment to urban education and social justice. Originally hailing from the San Francisco Bay Area, Marisa has spent most of the past decade in Providence. She received a B.A. in Education Studies and an MAT in Secondary History/Social Studies Education from Brown University. Following graduate school, Marisa taught 7th and 8th grade social studies in Central Falls. 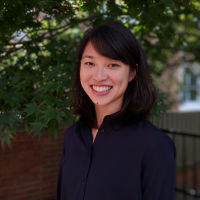 Marisa also worked at Brown, where she recruited and supported graduate students in the Master of Arts in Teaching and Urban Education Policy programs and organized leadership institutes for international teachers and school administrators. As an educator, Marisa works toward developing holistic teaching and learning environments that support both students and teachers as collaborative learners. She continues to be energized by her fellow educators and the empowered young people around her. Outside of Breakthrough, Marisa is an avid photographer, baker, hiker, snacker, and hula dancer. Carlon is the Co-Director of Breakthrough Providence where he oversees program development, community partnerships, and external communications. He is a social entrepreneur dedicated to exploring innovative ways to solve some of our country’s most pressing problems. 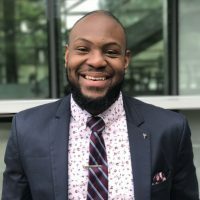 He helped found the Fellowship for Educators for Equity and Diversity – an initiative aimed at recruiting and retaining teachers from historically under-served communities – and EduLeaders of Color R.I. which hosts monthly meetups designed to support education leaders from underrepresented backgrounds. Before entering his current role with Breakthrough Providence, Carlon served as a City Year AmeriCorps member and Impact Manager, was a classroom teacher, and was a policy fellow for Colorado State Senator Mike Johnston. He graduated from the University of Georgia with undergraduate degrees in criminal justice and political science and completed his graduate degree in education from Rhode Island College. Carlon is an avid reader and lifelong learner who spends much of his time exploring topics related to world history, financial literacy, and management and leadership.